The rest is silence … and your own judgement, besides, hopefully action – at least online – for that’s where the REAL action takes place, it seems! 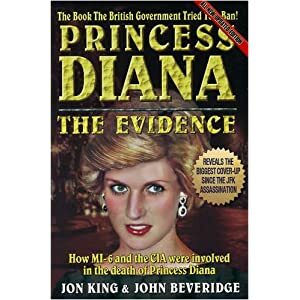 This entry was posted in Cover-ups and tagged Death of Diana Princess of Wales, Diana, Diana Princess of Wales, Jimmy Savile, Jon King, Princess Diana, Secret Intelligence Service, Traffic collision, Unlawful Killing. Bookmark the permalink.